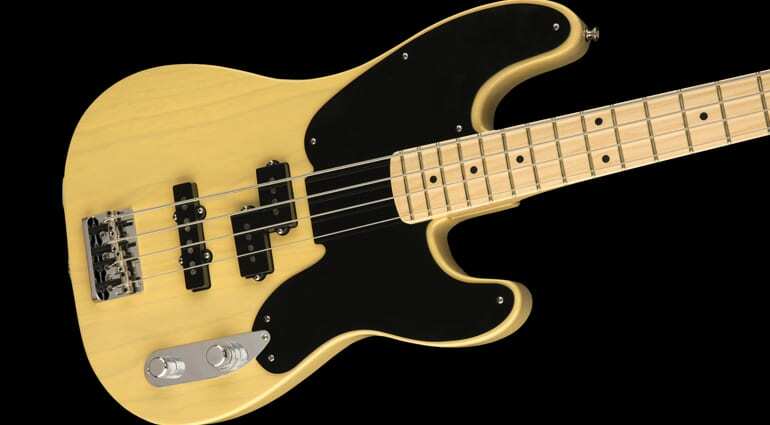 A new Fender ’51 Telecaster PJ Bass throws two classic Fender instruments into the mix. The Parallel Universe series has been a little hit and miss, but this last offering from the Californian guitar giant is the only bass guitar in the range. 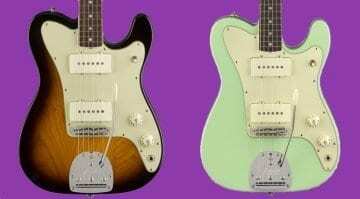 I’ve been in two minds over the Fender Parallel Universe models this year. Some of them look ace but unfortunately some of them just look, well, strange. This latest guitar is the only bass in the whole series: the ’51 Telecaster PJ Bass is a mash-up of two revered models from Fender’s past. It consists of a ’51 P-Bass body (made of a rather nice slab of ash) combined with a Precision/Jazz Bass pickup arrangement and a Telecaster-style headstock. The body has an old school black pickguard and makes the ’51 Telecaster PJ Bass look quite reserved compared to some of the other guitars in the rest of Parallel Universe line-up. The maple neck has a ’63 C-profile, with tall narrow frets and a more modern 9.5-inch radius. It should be meaty yet comfortable to play. The finish is a lovely nitro-cellulose lacquer throughout, adding to the vintage vibe. 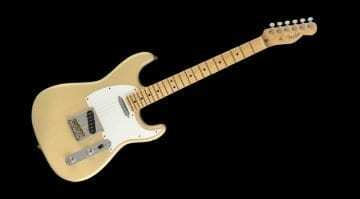 The pickup configuration is a ’60s split-coil P-Bass middle pickup and a ’60s single-coil Jazz Bass bridge pickup. Loaded with these, it should be able to growl with the best of them. 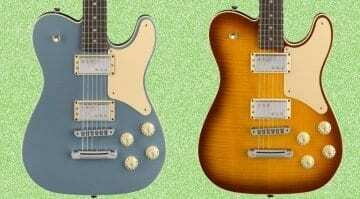 I’m a fan of the ‘vintage correct’ (if there is such a thing on a Parallel Universe bass?) control plate. The plate has a master tone knob and a dual concentric volume knob. And with those individual volume adjustments for each pickup, you’ve got enough tonal options on this bass. See the video below for some examples. On the hardware side, this bass has a HiMass bass bridge to keep everything rock solid and a set of traditional P-Bass tuners. I’m actually quite fond of the look of this model. It has just enough to make it stand out from the crowd yet still retain that classic early ’50s style. 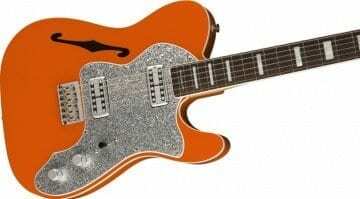 Fender Parallel Universe Jazz-Tele: Love it or hate it?